When you're in the market for a new credit card for your small business, it's only natural to want to find one that represents a great deal. Depending on your situation, that may mean a generous cash back program, an introductory period with no interest, no foreign transaction fees, or other extras. 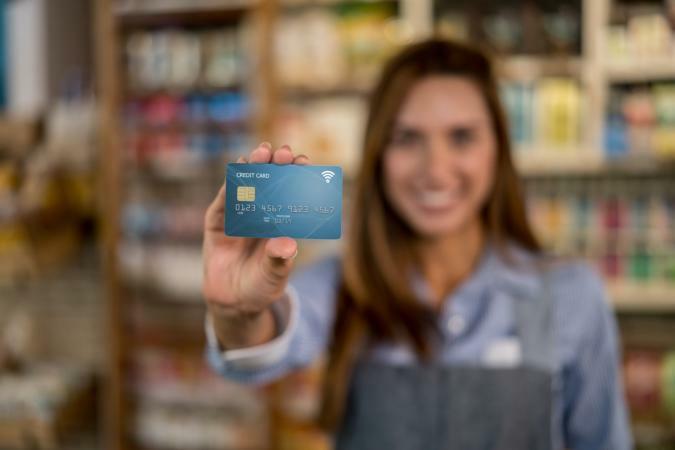 The Ink Business CashSM Card from Chase is NerdWallet's 2018 choice for the top business credit card with a zero percent introductory annual percentage rate (APR) and cash back rewards program. The Points Guy also highly recommends this card. Chase offers several business credit card account options. This one is particularly good for small business owners who aren't looking for travel rewards and don't travel internationally. The account has no annual fee and offers a year of zero interest. The cash back program is the most generous on the first $25,000 spending each year, with as high as five percent cash back on certain categories of purchases commonly made by entrepreneurs. It does have a three percent foreign transaction fee and the rewards can't be converted to any frequent traveler program. The Spark® Cash for Business account from Capital One® is NerdWallet's 2018 choice as the best business credit card that offers flat-rate rewards, and it is near the top of The Points Guy's list of top business card options. CreditCards.com gives it an excellent rating, saying that it "has one of the best and simplest business rewards credit card programs, with a generous sign-up bonus and excellent earning scheme." This account offers a cash back reward of two percent across all types of purchases on whatever amount you spend on the card. Earnings don't change from month-to-month or vary based on product category or spending levels. It doesn't have a foreign transaction fee, which is great for cardholders who may travel internationally. It does have an annual fee of $95, which is waived after the first year. The Business Advantage Cash Rewards Mastercard® from Bank of America® is also recommended on The Points Guy's list of the best credit card options for business owners. ValuePengin says this account is a particularly "good deal for companies with heavy office supply, gas, and restaurant expenditures." That's because it offers a generous two percent (restaurants) or three percent (office supplies and gas) cash back on purchases (up to $250,000 combined per year). These features lead to CreditCards.com recommending the account for "business cardholders who are often on the road." The account also offers one percent cash back on all other categories. You can potentially boost your earnings with Bank of America's Relationship Rewards program (which requires multiple accounts with the bank and its partners). This account doesn't have an annual fee and offers a zero percent introductory rate for nine months. It does have a three percent transaction fee, so it's not ideal for use out of the country. The SimplyCash® Plus Business Credit Card from American Express is also one of the top credit cards for businesses. CreditCard Insider describes it as a "low-cost way to pay for business expenses, at no annual fee." That's because it offers a nine month interest-free introductory period. CreditCardDonkey likes the fact that the account's rewards program is easy to understand, saying that it "helps small-business owners earn cash back on purchases without having to think much about it." With this account, you will earn five percent cash back on wireless purchases made directly from the service provider. Beyond that, you can select another purchase category (from a specific list) on which to receive three percent cash back. The five and three percent bonuses are limited to the first $50,000 in combined purchases per year. You'll earn one percent on all other purchases. The account also has a "buy above your credit limit" feature, which is a unique option some entrepreneurs may find helpful. You can put large purchases on the account with no over-the-limit fee. You do have to pay these purchases in full every month, but you will still earn rewards points on them. With this program, the card functions as a combination of the traditional American Express charge card and a credit card. 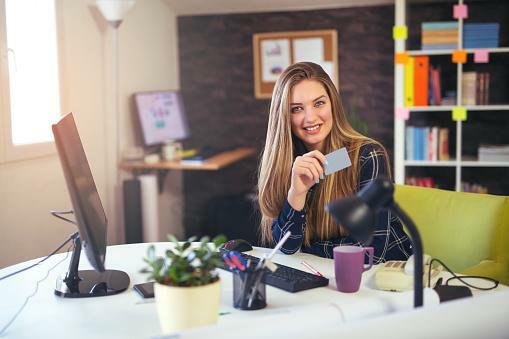 Whether you opt for one of these accounts or another of the many great business credit cards out there, it's important to use the account wisely. The most generous rewards program and other favorable terms can quickly be offset if you charge more than you can pay off.